Welcome to Vceps, grab a coffee, relax and let us tell you about how we started this business, enjoy! Vceps was founded in 2006 and is specialized in producing quality natural Cordyceps, handmade soaps and essential oils. Vceps was originally conceived because of our obsession with a particular genus of the fungi family, Cordyceps. This mushroom, Cordyceps Sinensis, or known in English commonly as caterpillar fungus, is considered a medicinal mushroom in oriental medicines, such as Traditional Chinese Medicine (TCM) and Traditional Tibetan medicine. Cordyceps is known as a Chinese herb that has immunologic, antineoplastic, antiarrythmic, hypoglycemic and erythropoietic effects. Cordyceps and its products are now present in the world markets as over-the-counter medicine and supplements. Vceps started researching Cordyceps in 2006 and constructed a small laboratory and cultivation room in Bukit Mertajam. 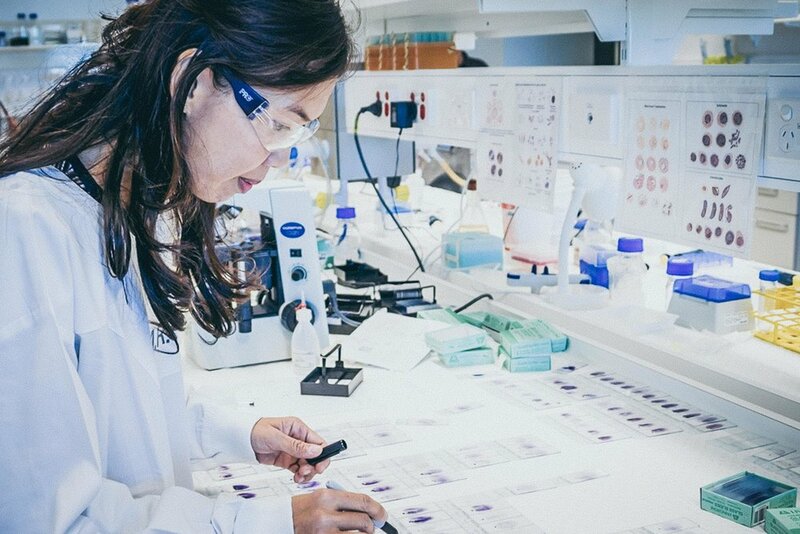 Through an international network of academics, we soon found researchers in Japan and China working on Cordyceps and together began to make progress in unlocking it’s secrets. 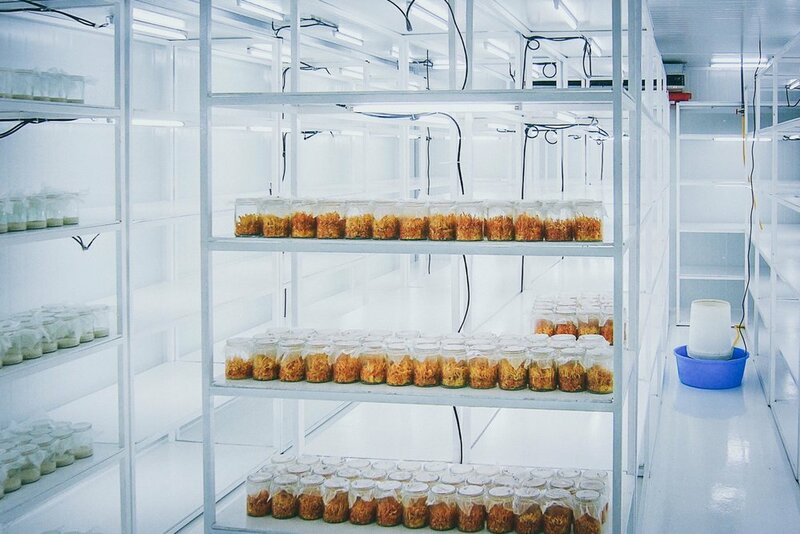 The cultivation of Cordyceps is a complex process, it involves culturing the fungi cells, inoculation, incubation and growing. .By the second half of 2009, we have setup a mass cultivation pilot plant in Bukit Minyak Industrial Park, Bukit Mertajam and officially entered mass production in late January, 2010. We have since been a source of fresh Cordyceps for many nutrition companies locally and abroad. After harvesting our produce are processed at a GMP pharmaceutical facility where the Cordyceps are dried using a proprietary vacuum process and then ground into fine powder to be vacuum packed or directly inserted into vegetarian capsules as supplements. We go the extra mile to ensure that the quality of our produce retains all the natural nutrients and goodness found only in Cordyceps, the world’s most expensive herb. Vceps has been involved in a collaborative research and knowledge transfer program with Universiti Sains Malaysia (USM) since 2012. We are very grateful for the dedicated team of scientists that has enabled us to move forward with our business as without their assistance, knowledge and their very expensive equipment, it would have been impossible to achieve what we have today. The fruits of this collaboration is seen in our products today, where we not only provide fresh Cordyceps as raw material for supplement manufacturing, but also our own product range that includes natural soap and natural dyes. One of our founders, Evelyn, was trained as a textile engineer and natural dyes became one of the major product of Vceps. In ancient times people derived colour for their textiles, household items and even cosmetics from natural ingredients found in their habitat. Of these, Indigo is the most cherished after dyestuff it produces a unique shade of blue that is brilliant and eye-catching. Apart from Indigo, we also work with various ingredients for producing many different colours along with different techniques to produce patterns, weaves and prints. Evelyn is deeply fascinated with ancient dyeing practices and that has led her to collaborate with respected experts in the field. One of the experts is considered a national treasure in China, where he is in charge of preserving the textile artifacts found in the The Palace Museum，or better known as the Forbidden City, in Beijing. Modern dyeing methods are derived from ancient techniques and Evelyn is adamant that this cultural heritage must be preserved. On top of that, due to the fact that only natural ingredients are used for traditional dyeing, it is essentially harmless to the environment, unlike modern chemical processes. Natural dyeing has made a come back in recent times and it is quickly becoming a statement that blends environmental consciousness to fashion. Besides, there is a certain look that only naturally dyed clothing can achieve. Vceps started to produce soap made from natural ingredients after Evelyn obtained a proprietary formula from a source in Beijing to cure black spots. Evelyn had a pretty nasty spot on her cheek and using this formula, she made a batch of soap and used it daily for a few months. To her amazement, her black spot faded! 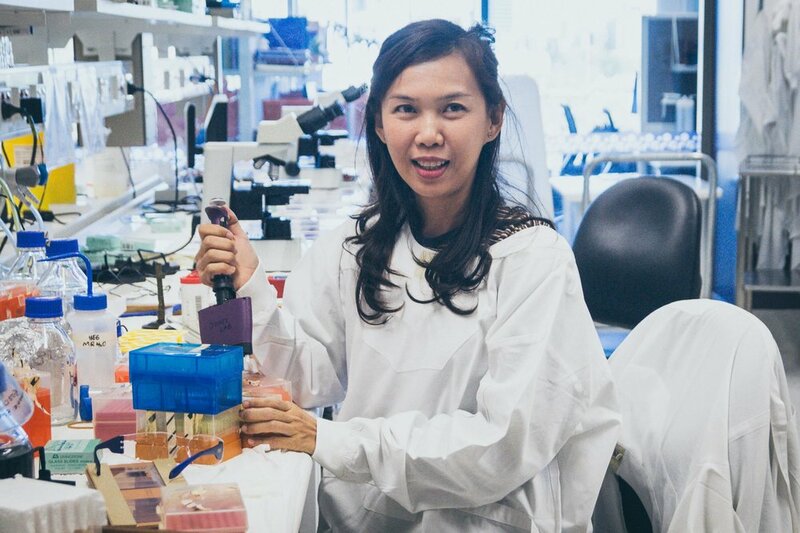 Thus she began extensive research into soap making and with the assistance of our research team at USM, managed to incorporate our Cordyceps into the formula to produce natural soap of exceptional quality and function. Our soap are made from natural ingredients and does not contain any synthetic chemical or compounds. Our products are thoroughly researched and go through rigorous testing to ensure that it is safe for everyone. The main reason that we are doing what we do, apart from the aesthetics and function of our products, is to reduce the amount of harmful chemical discharge from industrially produced soap, detergent and dyes. Synthetic dyes, including indigo, are derived in laboratories through chemical process and makes up the majority of commercially produced indigo dye in the denim industry and all other colours for various natural or synthetic yarns. The chemicals used in producing synthetic pigments throughout the manufacturing process include aniline, sulphur, sodium hydroxide, hydrosulphate and formaldehyde, which can be harmful to both humans, through inhalation, and the environment where they are discharged after dyeing. The same can be said about industrially produced soap and detergents where many countries are imposing strict controls over their discharge as it has proven to be detrimental to the environment, human and wildlife. At Vceps, we intend to do as much as we can to re-introduce ancient methods of producing quality soap and dyes that contains only natural ingredients and thus are harmless to the environment. In fact, discharge form our products can be used in farming and create opportunities for rural areas. Evelyn was born in Bukit Mertajam, Penang, Malaysia and obtained her degree at Feng Chia University in Taiwan majoring in Textile Engineering. Due to her experience in the textile industry, she is very vocal about the dangers that is posed by the chemical manufacturing process to the environment, people and wildlife. Evelyn is in charge of products research and development plus productions. She currently lives in her hometown and this is also where Vcep’s headquarters are located. Darren is a former corporate executive with vast experience in marketing. He is also a professional level photographer and designer and is in charge of marketing and overall operations at Vceps. He is married to Evelyn Leow.